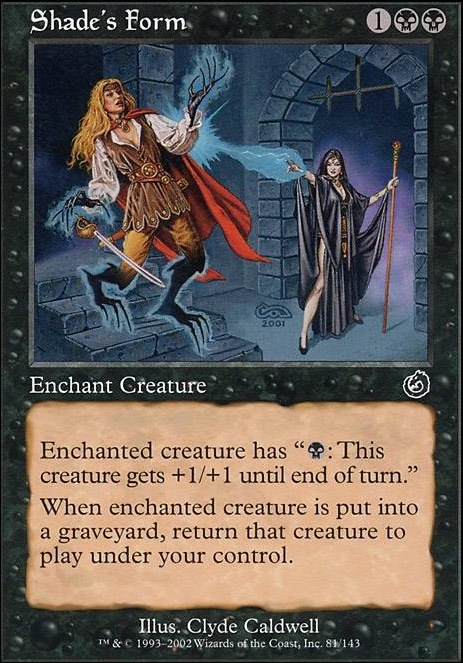 Enchanted creature has "(Black): This creature gets +1/+1 until end of turn." Gift of Immortality should be a powerhouse in this deck. I'd cut Shade's Form for it. Abundant Growth fixes mana and draws 2 with an enchantress in play. 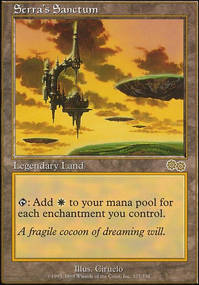 Fertile Ground, Overgrowth are classic aura ramp. Elemental Resonance in any deck that plays a green God from Theros. 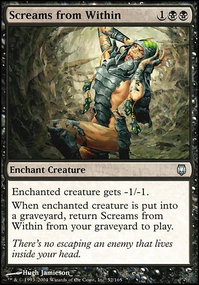 Mourning, Whipsilk are draw engines in your deck. Bequeathal two cards for 1 mana. Casting of Bones fits the theme and let's you dig deep. 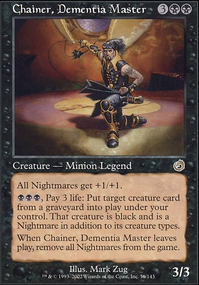 Phyrexian Arena, Dark Tutelage, Underworld Connections, Greed provide steady card draw throughout the game. Fruit of the First Tree as a flavorful alternative to Harmony? Curse of Disturbance free armies are good. Druid's Call on Pharika would also be good. Verdant Embrace can be even better. Genju of the Fens is a mana sink that dodges sorcery speed mass removal that could also help you close out the late game. Exoskeletal Armor, Nighthowler, Herald of Torment, Eternal Thirst give you a significantly better chance at winning with commander damage. Gift of the Deity is a one sided wrath every turn if Pharika is online. 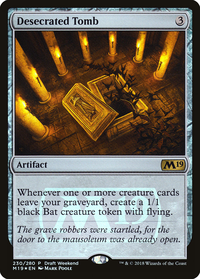 Lingering Death gets rid of Avacyn, Eldrazi, and other annoying indestructible things. Nyx Infusion is a flavor win. Traveling Plague moves fast in a multiplayer game. Shade's Form is one of those hidden gem cards. Mana sink or Mind Control. Not bad for three mana. Spreading Algae can act as TechEdge on crack. I mean, I see Urborg in like 90% of my games. Algae will do some work. Unnatural Hunger not great against token armies but can be solid against other decks.